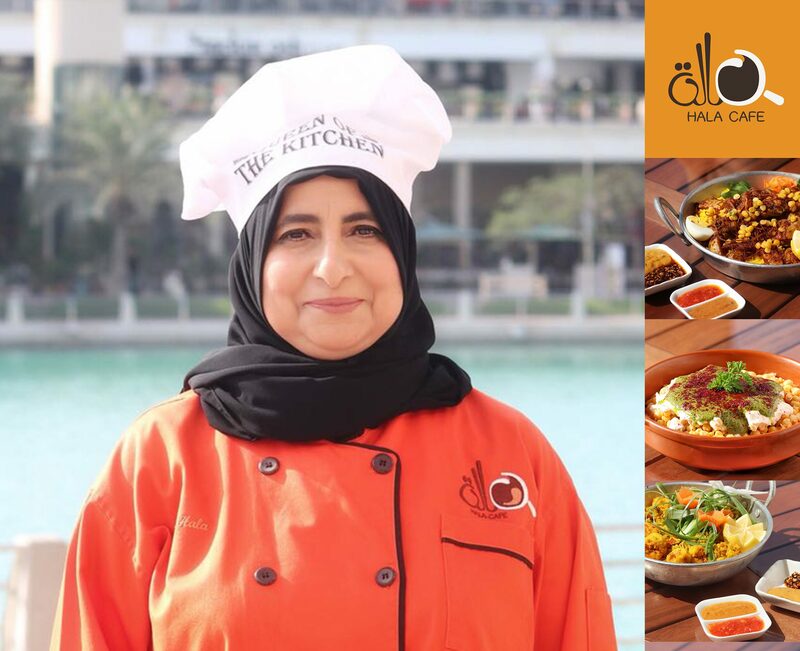 Chef Hala Obaid is the owner of the popular restaurant chain Hala’s Café in Amwaj and Seef and a cookbook author. 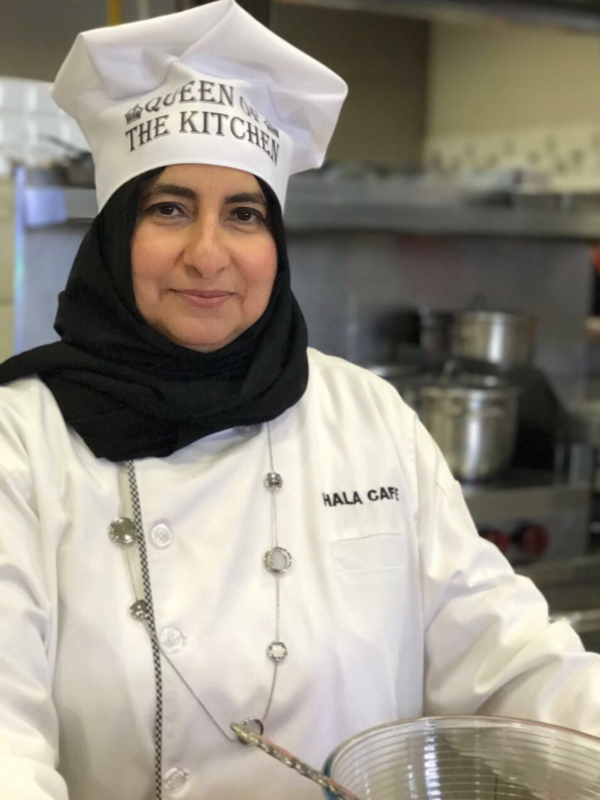 Hala Obaid is the first Bahraini woman who issued a cooking specialized global chain. Chef Hala‘s recipes are prepared with passion and attention to detail. Bahrain This Week meets with Chef Hala Obaid. Tell us about your career path. How did you get your start? from not only Bahrain but GCC as well, mostly Saudi. What inspired you to become a restaurant owner? Cooking is not only my passion but also my obsession. I love anything related to food. When I had started cooking in my younger days, my family and friends appreciated my cuisines for the taste and exquisite ingredients. They encouraged me to open my own restaurant. 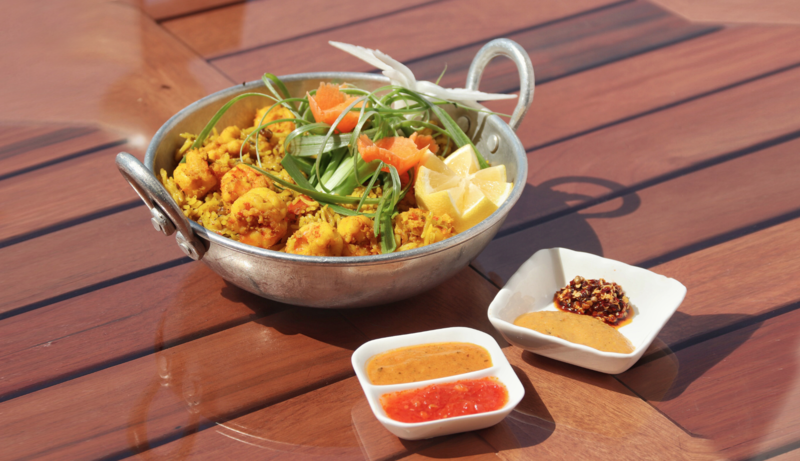 After making a feasibility study from 2011 to 2013, I opened up my first restaurant at Amwaj, which is about 300sqm. A few months ago, I opened the second branch of Hala’s café in Seef mall with a size of 700sqm. I started with only nine staff, and now we have 140 staffs in total. What’s your secret for regular customers coming in? What does your restaurant do to keep your menu new and exciting? Hala’s café started with 7 international cuisines. I use healthy oil, fresh chicken and vegetables from the farm. All spices are made by me from the scratch, and customers can buy from the 50 different spices in our café. I also sell different pickles- Indian, Bahraini, Kuwaiti dakoos exclusively available in my café. 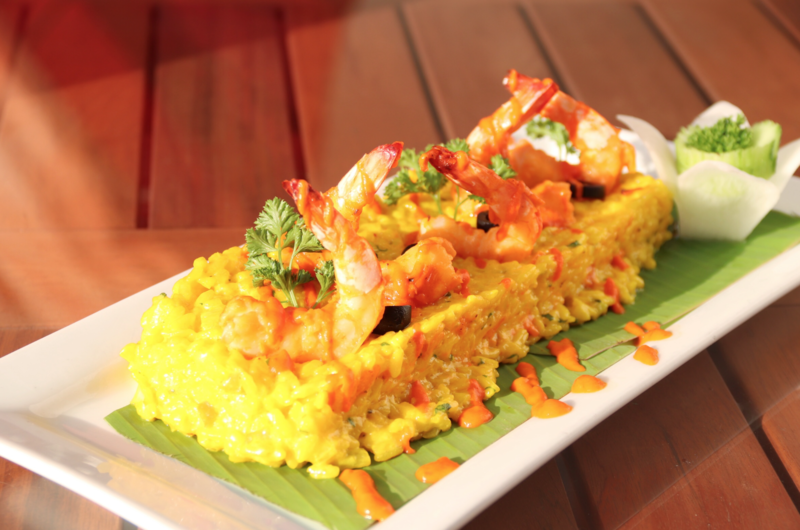 Currently we have 9 international cuisines and 180 recipes on serving daily menu. This is also the first concept in Bahrain with 220sqm live cooking kitchen where our customers get to see the actual cooking through glass. Everything is transparent from the butchery section to the oven. How do you feel as the 1st Bahraini woman publishing a cooking specialized global chain books? It all started during my high school. As I love to cook, I always kept a journal to take notes. I would add my own sauces and spices in the recipes. After my high school, my father suggested me to release a book with my recipes, but I wasn’t sure then. When I graduated in 1984, the idea seemed to be perfect in my mind. I started with my first cookery book in 1989 on Gulf dishes. I am the first women in the Gulf who has published 14 cookery chain books each specific for a cuisine as one book for Egyptian, one for Chinese, Indian, authentic Shamia, Irani, Mexican, Italian and American. Each book talks about the country’s herbs, spices and recipes. I sell all these books at the national book shop. I might publish a new book about Quick recipes soon. The books are available both in Arabic and I have translated myself in English as well. What are Hala’s Signature dishes? Every dish is unique with my own touch. 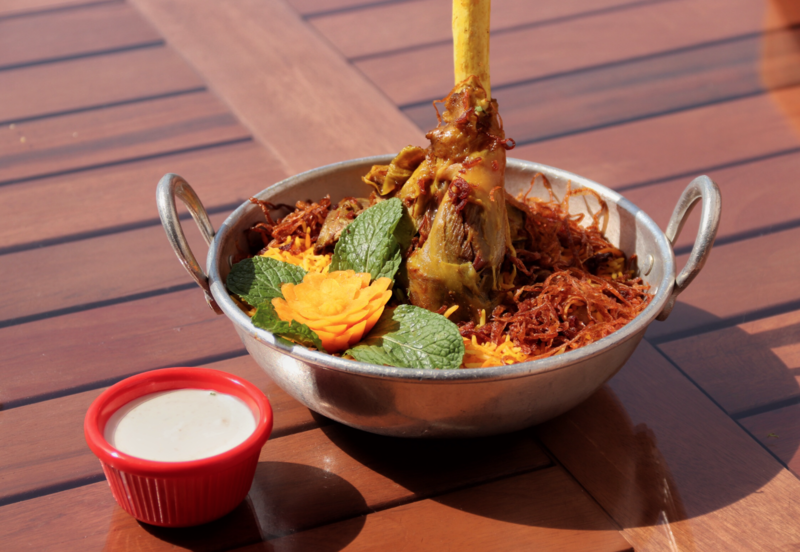 Areeyes, chicken machboos, laham ghoozi, tom yung soup are some of the Signature dishes to name on. If you were to open another new restaurant, where would it be? It might take time, since I opened the Seef branch only a few months ago. I might consider Riyadh or Dubai as the next destination for many customers request me to open a franchise there. I’m considering the food quality in different places. Customer Service is a key is sales. How do you motivate your staff in delivering such welcoming service? I’m a cook and along with my chefs, I’m always seen in uniform. I am in Amwaj for three days and at Seef for 3 days. I always try and inspire them. Every Friday, I organize a competition among my staffs and award the best cook (among 40 chefs, 37 sous-chefs) and the best smile (waiter and waitresses). Every week I make a theme as best biriyani, best sambosa, best dessert, etc. I like the chefs to incorporate their new variations and help them discover their skills and explore the food imagination. I look not only for quality food but also quality service by our staff. I also send them for trainings every year as they can update their knowledge and skills. What other works are you taking care of? Many university students from AMA, Bahrain University, and Polytechnic have case study and ask me for cooking shows and to be a part in sharing my recipes and success stories. I love to help the younger generation in teaching the operations and start of new restaurants. What’s your advice to the aspiring restaurant owners? If you want to open a new restaurant and plan to leave it to the staffs, then don’t open. You need to get in the middle of the operations. You have to be one among the chefs, one among the supervisors, and operate in all the fields with the passion. A normal job will need 8 hours of work. But in a restaurant field, you will require 16 hours. Work hard with patience. Cook with love.